It's so sad to watch a young adult that once had everything going for her, lose it all. MY beautiful daughter was outgoing, she played in the band at school and eventually became the drum major. She also possessed an awesome alto voice. So, it did'nt surprise me at all when she graduated with a full scholarship to attend college. She began dating a young man, unknown to me, that was hooked on prescription medications. At age 19, she married him and they had a child. It wasn't long before she too had the habit. Her father and I did everything we knew to do to get her off the drugs and alcohol. Six years later she got into heroin and morphine and divorced and took up with another young man who had the same habits. They also had a child. I received a call on Halloween from DHR to come get the children. When I got there, it was apparent that they were under the influence. It has all escalated from there. She does not have the children, we do. I have been to mental authority, they will not take her because she is on the medicines that now she has prescriptions for. She overtakes them, such a sad situation. Does anyone have an answer? She refuses to believe she has a problem at all and will try to have you arrested if you try to help. Comments for My once beautiful daughter! Hard to imagine the misery your daughter has put you and your family through. Your story encapsulates heroin addiction as most families and addicts experience it. Heroin is a disease of the brain and once it controls your brain then NOTHING else matters. It destroys everything and everyone in it's path and there is little to nothing that can be done until the addict decides they've had enough. Also, because it is a disease of the brain, there can be severe mental health consequences from the drug use. If your daughter did stop using, her mental health might improve over time. The only thing you can do is to get good support for you, your family and for her children. 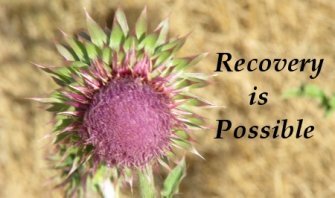 I recommend that you find a Celebrate Recovery program in your area and go to their meetings weekly. This program will help you to understand addiction and also get the support necessary to accept your daughter's incredibly poor choices. Once you're comfortable in the program try to get your daughter to join you at the meetings so that she can learn about the 12 steps and reconnecting with her higher power. That is, in my opinion, her only hope. You're in such a difficult circumstance but it sounds like you've done everything humanly possible for your daughter and her children. I'm so glad that your grandchildren have been taken care of and protected from the full dysfunction of their parents addiction.